How to Use Fake Webcam on Chatroulette? 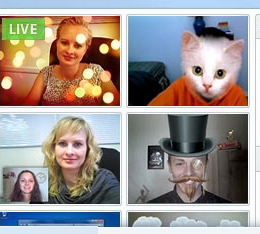 Fake webcam programs provide users to show different people or pictures instead of them on webcam. 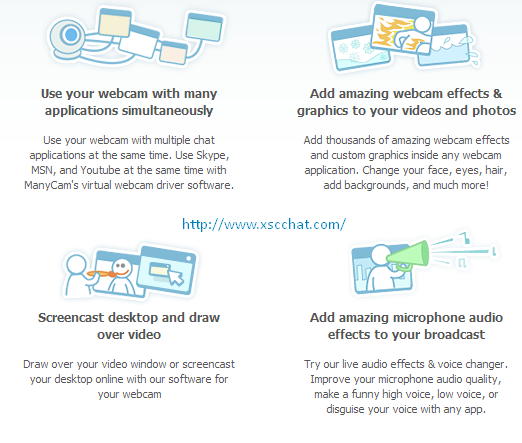 The most popular ones are Fake webcam and Manycam and also splitcam. We put this article to give informations about using Manycam on Chatroulette. Many Cam is one of the best fake webcam programs in chat sites. You can use this program in any chat platform. It’s quite useful and there are many features in Many Cam. People are usually use this program in Chatroulette and Omegle like sites. How to use Many Cam on Chatroulette? Chatroulette has many online users in the site and all of these users want to chat with those who has a camera. If you don’t have a camera you will never have a chance to chat with someone in this site. All the same if you want to connect to this site, Manycam is giving a good solution to you. You can use ManyCam if you don’t have any web cam. Firstly you should download many cam from internet. It’s easy! You will find to program if you make a search on google. Please download program and install it to your computer. While you do all these things please find an attractive video for yourself. This videos should attracts to people. So be careful while you select your video. If you would like to put something funny on your video, you are going to find a large archieve in youtube. After you installed your program add your video to manycam and connect to chatroulette. Set your default camera as Many Cam and just begin to chat!